Many homeowners enjoy watching hummingbirds visit colorful flowers growing in the yard. 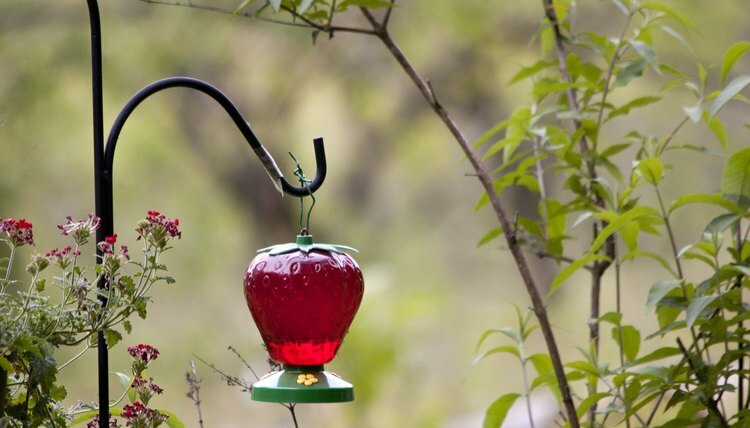 To attract more hummingbirds, place brightly colored hummingbird feeders outside, and fill them with a sugar-water solution that you can make easily in the kitchen. 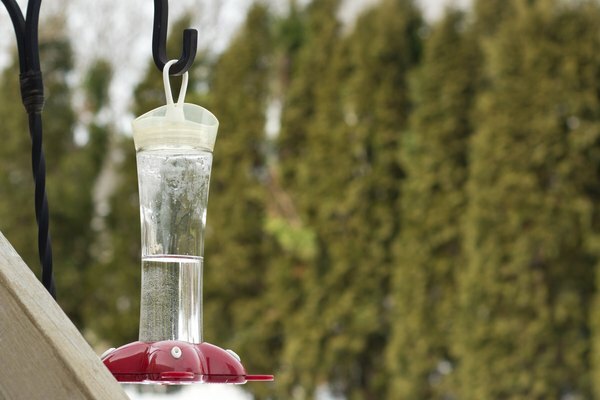 Maintaining a hummingbird feeder mainly involves replacing the sugar water regularly to make sure it does not spoil. You will be rewarded with regular visits by beautiful hummingbirds. 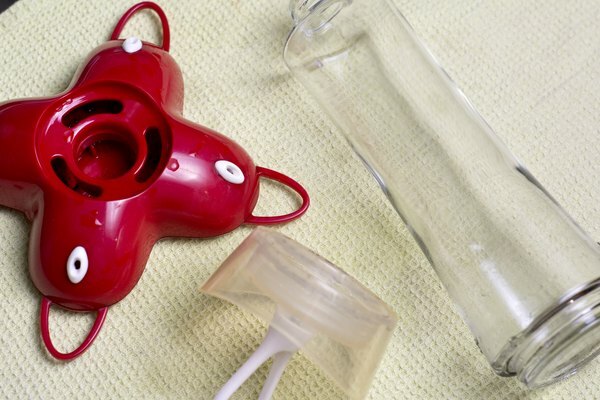 Select a brightly colored hummingbird feeder that can be completely disassembled for cleaning. It is important that the entire feeder come apart to be disinfected. A basin feeder is a popular, easy-to-clean feeder that consists of a basin at the bottom to the hold the sugar water and a lid with holes. Often these feeders will have perches extending out the sides, which will give you an excellent opportunity to see a hummingbird perched to feed instead of hovering. Hang the feeder in a location that will enable you to watch it often. Near a window is a common place that many homeowners choose. Measure one part of white sugar to four parts of water in a saucepan. Stir well to dissolve the sugar. 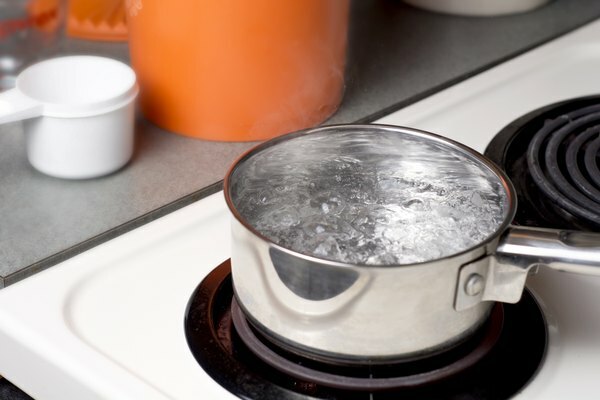 Boil the mixture and immediately remove it from the heat. 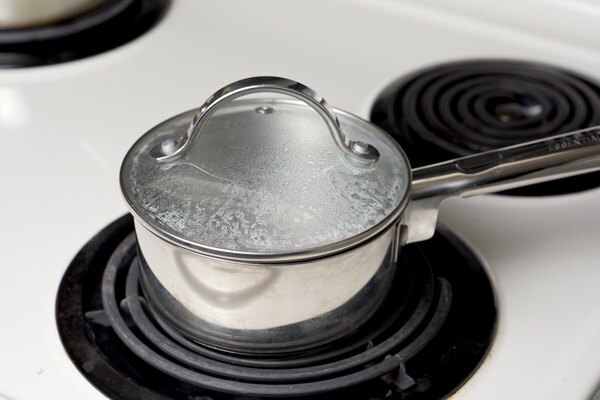 Cover the saucepan and allow the sugar water to cool completely before pouring it into the feeder. Fill the feeder with cooled sugar water. Hang the filled feeder and watch for hummingbirds. 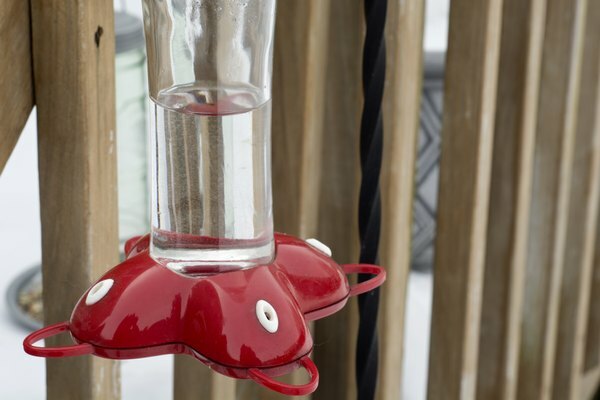 Monitor the hummingbird feeder daily, because the sugar water will eventually ferment. If the temperature is below 70 degrees, replace the sugar water once per week; between 71 and 75, every six days; between 76 and 80, five days; between 81 and 84, four days; between 85 and 88, three days; between 89 and 92, two days; and above 93, every day. Wash the feeder each time the sugar water is replaced. 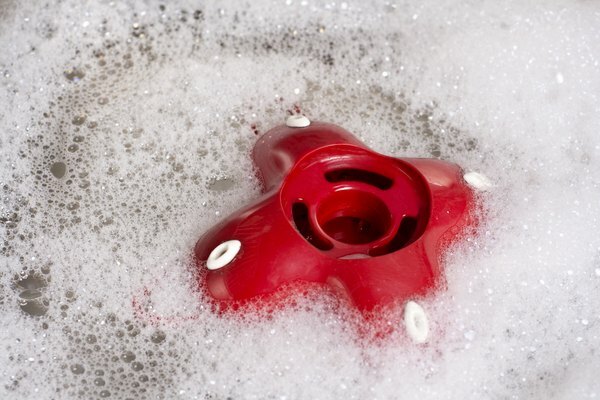 Wash with very hot water but no soap. If mold is present, add two drops of bleach to a gallon of hot water and use this to wash the feeder. Be sure to rinse the feeder completely because bleach may harm hummingbirds. 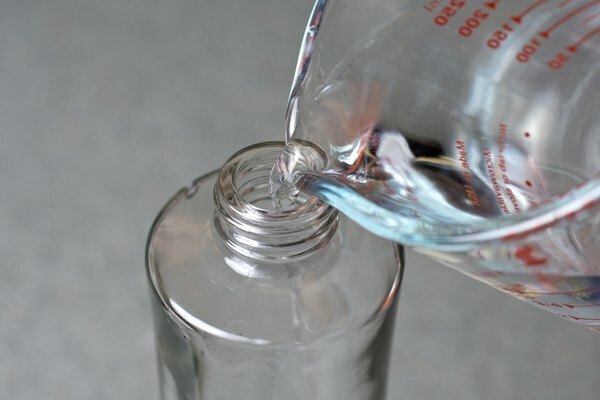 Make a large batch of sugar water and store it in the refrigerator for easy refilling. Never add red food coloring, gelatin, brown sugar or honey to the sugar water solution because these ingredients might harm the hummingbirds. Watch the sugar water for signs of fermentation even if you are within the recommended time for replacing the water. If the sugar water appears milky or you see mold, replace it promptly and clean the feeder as recommended.